In his Friday Sermon of October 28, 2011 the Khalifatullah Hadhrat Munir Ahmad Azim Sahib of Mauritius reflected on the profound meaning of a Qur’anic verse relating to the ultimate reason or divine objective for the creation of man. Man’s inner most quests for Divine communion takes him through various stages of spiritual progress. From a desire to know God, man progresses through constant struggle against his many weaknesses and frailties. The door of repentance in its sublime form leads to the knowledge of certainty regarding the existence of God. Hadhrat Khalifatullah emphasises on the need for keeping the mirror of our souls pristine so that we may truly reflect Divine Love. The Incomparable Majesty who granted us the boon of existence has placed in us only one heart so that with it we love only God and that we give up everything else and so that we devote ourselves only to Him by refraining from dividing our heart. Knowing God is the ultimate goal of man, and the reason for creation. The Holy Prophet (sa) tells us that God has revealed that had it not been for him (the Holy Prophet) – that is to say, taken as the archetype and model of the man who has reached full spiritual stature – He (Allah) would not have created the heavens. God created man in His image, He breathed into him of His spirit, He has established him as His vicegerent on earth, He taught him the names of all things. When is a man freed from needs? When God shall deliver him from them? This does not take place through the efforts of man, but with the help and grace of God. 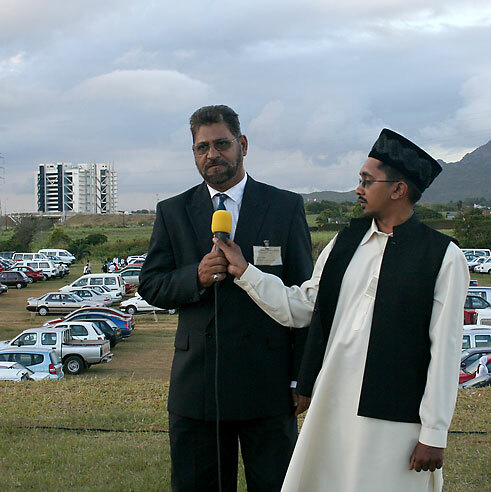 In his Friday Sermon of October 28, 2011 the Khalifatullah Hadhrat Munir Ahmad Azim Sahib took note of the nefarious activities of the Ahmadiyya leadership in Mauritius which is hell-bent on deviating common Ahmadi people. With their administrative control over the every day lives of common Ahmadis, the leadership is virtually enslaving common Ahmadis. They seek to restrict and prevent common Ahmadis from recognizing the Divine Manifestation and worse still, to fill their hearts with hatred against and contempt for, God’s Chosen Messenger of the era. As is perhaps to be expected in times like these, all of these Un-Islamic activities are being done and sought to be legitimized in the name of protecting the sanctity of ‘Khilafat’ and ‘Ahmadiyyat’! Hadhrat Khalifatullah (atba) has now specifically warned the leaders among them- including the Ahmadiyya Amir of Mauritius- to desist from their evil ways and deeds or be ready to face their moment of reckoning which shall approach "soon, very soon". “… Moussa Taujoo and Ganee, along with Amine are taking themselves as great protectors and defenders of Khilafat and Ahmadiyya. They have rejected that which they cannot grip from Allah’s knowledge, despite not receiving its explanation. Likewise, there were people before them who acted arrogantly, and refused to accept the truth and see how Allah Almighty has led them to their destruction. You, Moussa, you are following only your imagination so as to acquire honour. You forgot the humiliation you got in 1988 when the late Caliph Tahir Sahib came; you listened so much to the talks of Hussein. Where is Hussein now and where are you? You were ousted (from your seat) – bear in mind that your satanic imagination which is making you apply boycott on us and not bidding us salaam cannot become greater (stronger) than the truth in any way. Allah knows what you are doing. Allah Almighty says in the Quran: “Inna sharraddaa-waaabbi indallaahis summul-bukmullaziina laa yaqiiluun.” – In the eyes of Allah, the worst animals are those who make the deaf and dumb, who do not use their reasoning (intellect). O Moussa, fear that calamity which shall befall you and those around you, who are doing harm, and bear in mind that Allah Almighty is very severe in inflicting punishment. Ponder over the fact that those who reject the signs of Allah, Allah Almighty shall let them go astray and ultimate destruction little by little, in such a way that they do not realise (what is happening to them). Nasir Ahmad Sultani, the founder of Jama’at Ahmadiyya (Haqiqi) claims that Allah Almighty has appointed him as Mujaddid for 15th century of Islamic calendar on March 31st 2011. His group and he himself had been claiming as their “speciality” that he “has live contact with Allah Almighty” and that no other religious leader of this age can compete with him in this. “Live contact with Allah Almighty is the main objective of a religion. Every religion and nowadays Islam must provide opportunity to connect people to their Creator. But there was none. I have searched and challenged all over the world. There is none of the followers of Islam who has his own presentable live connection with Allah Almighty. “You are labelling this humble self as false, that I am not a Muslim. Have you got the patent to judge the faith of others? Nabi Kareem (sa) himself did not possess the patent to judge the faith of others, so then who do you think you are? You are trying to extinguish the Light of Allah with your mouth, but let me tell you that Allah Almighty shall persist to perfect His Light, even if this is not to your liking (despite your recriminations). It is Allah alone who has sent His Caliph (Khalifatullah) with guidance and the religion of truth, to make it shine over all other religions and even over your Jamaat, even if it this does not please you at all. 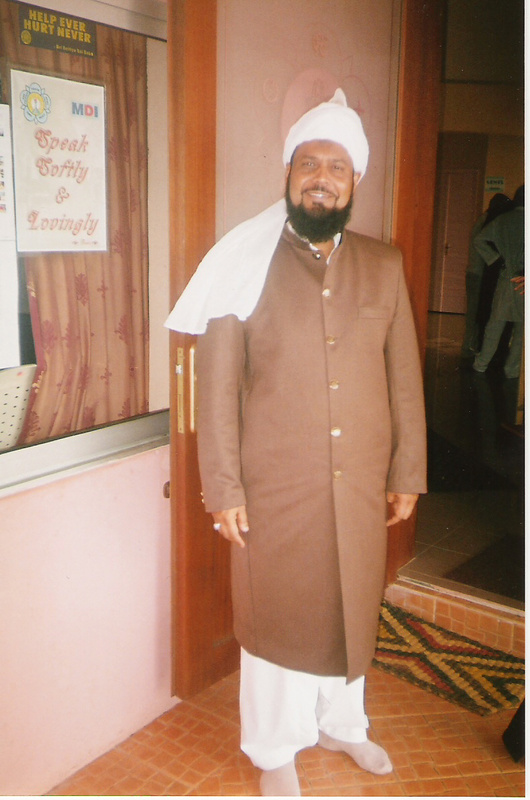 In response to the extraordinary interest on the subject, we continue our series on the family background of the Khalifatullah Hadhrat Munir Ahmad Azim Sahib of Mauritius. 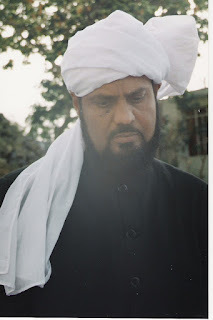 In the first part in the series, published here at the Sahih Al Islam Blog on October 24, 2011, we have featured an account about the life of the father of the Khalifatullah Marhoom Hadhrat Solim Azim Sahib. This second part contains an extract from a recent biographical note and features an account about the life of the respected mother of the Khalifatullah Bibi Momin Azim Sahiba. Bibi Momin Azim (the eldest daughter of Hazrat Isoop Sahib and Madina Sahiba), the mother of the Khalifatullah Munir Ahmad Azim (atba) who is presently 83 years old, by the grace of Allah is a pious lady very much attached to Allah. She is frequently recipient of true dreams; such dreams which foretell of events to come. She also very often sees angels of Allah showing and telling her the glorious status to which Allah has elevated her beloved son, Munir Ahmad Azim. Her duas are very often accepted by Allah to such a point that whenever she prays for someone, Allah relieves that person, and whenever she is angry with someone (who is not conforming to the teachings of Islam), then Allah also does not delay in giving punishment in the aftermath of her warning. The followers of the Promised Massih Hadhrat Ahmad (as) used to consider that Allah never leaves aside the requirements of Deen-i-Islam and would raise-up His Messengers to call the people back to the path of Allah whenever faith degenerates in society, just as had been His practice in the past. All praise belongs to the Almighty Alone. Today, at a time when the land and the sea are both corrupted materially and spiritually, we have a Messenger of Allah among ourselves, who fits the Qur’anic descriptions of Divine Messengers, word by word, phrase by phrase! Now the same Jamaat-e- Ahmadiyya has changed doctrines and adopted an official policy that Allah cannot raise a common Ahmadi with a Divine Mission to rectify the creeping mistakes and blunders within! Surely, no people can be fooled by the official system for long. Those who make an independent study of the claims and doctrines of the Promised Massih (as) and his prophecies regarding the future of the Jamaat cannot condone what they see- Ahmadis now venerate their man-elected Khalifa by elevating him to the august status of an Elect of Allah. In his Friday Sermon of October 21, 2011 Khalifatullah Hadhrat Munir Ahmad Azim Sahib continued the subject of Islamic prayer and reflected upon the psychological benefits of Salat. Beyond the psychological benefits to the human body and mind, Salat offers the real possibility of expressing the true yearning of the human heart and soul to reach the Divine presence, points out the Chosen Messenger of our times. What is implicit in this Hadith is that man can transcend the space time barrier and acquire the attributes of divinity, to control his entire environment. This means that he can, by following the Sunna, insures both physical and mental health not only for himself but will also effect changes in his environment. This is the meaning of the successes of all Muslims and the source of their dynamism. Prayer said with utmost humility and tenderness of heart becomes special prayers, just like a suckling who cannot speak can attain utmost kindness of the mother by weeping, in the same manner the Duah with tears and utmost humility is the most effective way to communicate with God. There has been sent down an extremely effective, healing and beneficial medicine, from the heaven of mercy. It is easily available in one sense, but rare in another. It appears to be common, but is the most special. It is beyond our description and praise, because it is universal remedy for thousands of diseases. Such a miraculous medicine is Salat, and duah. Prayer is the yearning of the heart to be one with the Creator and an invocation for His blessings. In his Friday Sermon of October 21, 2011 Khalifatullah Hadhrat Munir Ahmad Azim Sahib continued the subject of Islamic prayer and reflected upon the psychological benefits of Salat. Drawing upon the latest trends in psychiatry and the treatment of mental illnesses, Hadhrat Khalifatullah sketches down the ways in which recourse to Salat and its postures would be beneficial. (1) Drugs, to actually combat the illness or relieve pain. (3) Fear, hope, joy or grief are emotions which the doctor should evoke by counselling the patient to conquer his illness. If a man is engaged in worship, he will feel apprehension, fear and hope, nervousness and love. And when he takes thought of the next life, he will strengthen the faculties, delight the heart and drive away disease by this very means. The latest trends in psychiatry, both in causation and therapy, postulate a biochemical basis for mental illness. Salat and indeed Zakat can produce mental changes and even psychotic behaviour has been determined most positively. The converse would also apply. The latest trends in psychiatry regarding the causation of depressions and even Neuroses as well as psychoses reveal that anti-Sunna behaviour is implicated. This anti-Sunna activity ranges from error in diet to faulty nutrition (Example, lack of Nicotinic Acid Vitamins etc. causes dementia) and to anti-social activity like isolation, lack of social companionship and lack of orientation. All these factors which represent in the various aspects of Salat, (whereby Salat in congregation leads to a fostering of brotherly feelings and companionship) can prevent mental illness. 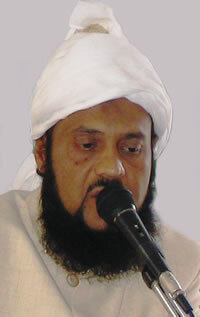 In his Friday Sermon of October 14, 2011 Khalifatullah Hadhrat Munir Ahmad Azim Sahib of Mauritius explains the spiritual purpose of Creation- the worship of the Almighty Allah-by looking at the deep meaning of the various elements and postures involved in the Islamic prayer- Azaan, Wudu and Salat. The unique character of the Islamic call to prayer- Azaan, the external purifying impact of Wudu for active and awakened participation in worship and the spiritual and physical benefits that arise out of performing the Salat through its various prescribed postures are explained in the sermon. The Khalifatullah offers illuminating insights on the structural design of human personality and the benefits it may derive by engaging in Salat. (i) the preparation or call (Azaan). (iii) Salat, the prayer itself. Each of these elements coalesce and overlap and no exact demarcation is possible, as the Azaan proclaims: Come to prosperity, while the Salat itself is described in Surah Ash-Shams (91: 10) – Those who purity their souls will make progress. Azaan is the unique call among all religions in that it does not consists of tolling bells or the sounds of the Shofar (Jewish horn) or trumpet. The Azaan proclaims in a language which everyone can comprehend, the cardinal principles of Islam, the witnessing of the existence of one sole God, and the apostleship of Muhammad (peace be upon him). This beautiful call echoing in the early dawn, which requires repetition after the Muezzin according to the Sunna, evokes far greater reaction than the musical tones of the bell or trumpet which requires an aptitude for musical perception, something not granted to all. The tolling of mournful bells or fear-instilling blasts of the trumpet represent a wrathful divinity compared to the Beneficent and Merciful God of Islam; calling people to progress and prosperity both in this world and the next. This is the reason for the repetition of the words: Come to prosperity and come to prayer, each call signifying the separate worlds of existence. The early morning call signifies the awakening of the inner soul of all. Creation as is proved by the wakening of all nature, the lifting of darkness, the chirping of the birds and the emergence of the radiating fingers of sunshine. Whenever a Khalifa of Allah appears, angels descent with him and they will guide eager hearts to the recognition of the Divine Manifestation. This subtle and profound spiritual reality was articulated and confirmed by the Promised Massih Hadhrat Ahmad (as) himself. Today, we are witnessing the fulfillment of this eternal Divine Law through the lived experiences of common believers in Mauritius, in India and elsewhere who have recognized Hadhrat Munir Ahmad Azim Sahib as the Chosen Messenger of Allah of this era. “The angels and the Spirit descend upon them by the command of their Lord with their Lord’s decrees concerning every matter. It is all peace, till the break of the dawn”. (Surah Al Qadr, 97:5-6). So the appearance of the angels and the Holy Spirit only takes place at the advent of a person of distinction, who is dressed in the garb of Khilafat and honored with a direct communion with God. This Khalifa is specially gifted with the Holy Spirit and the angels in attendance are deputed to descend on all pious hearts. The reflection of this heavenly glow falls on people of receptive talent, and consequently the whole world is engulfed in the dazzle of this intense light. As a result of the noble influence of the angels, the hearts of such people are voluntarily inclined towards virtuous thoughts and are thus charmed by the concept of the Unity of God. Upright hearts are charged with the inclination towards the search of truth. The spiritually frail are granted fortitude. Everywhere a breeze begins to blow which is supportive to the objectives of the Mujaddid. An invisible hand is beckoning humanity so that they of themselves are hastening towards that reform which will bring out the best of their talents. Mankind is in a state of agitation and stir in anticipation of what is to come. As eloquently confirmed by the Promised Massih (as), angels guide the truth seekers in the time of a Khalifatullah. Today, in this new century of Islam and Ahmadiyyat, we are witnessing extraordinary testimonials in favour of the Divine Manifestation in Mauritius; People in distant lands are virtually being guided by signs and dreams. It is astonishing to hear about the dreams and signs of the believers in the era of the new Divine Manifestation. Respect for principles of natural justice and rule of law is a basic feature of even mundane legal systems that administer justice among people. 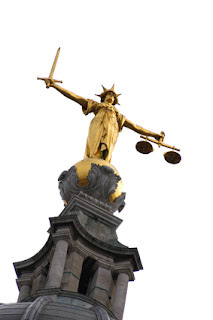 [Inset: Statue of Lady Justice, by F. W. Pomeroy on top of the Old Bailey Central Criminal Court in London, England- She carries a sword and scales but is not blindfolded]. 1) No one shall be a judge in his own cause. 2) No one shall be condemned unheard. 3) To ensure substantive justice, procedural fairness shall be adhered to. Now, all of us know that justice is among the foremost Islamic values. And, Ahmadis claim to be the inheritors of the finest Islamic traditions. In any case, they swear by Islamic values of the highest order, including JUSTICE. But, then, the question is this: How do they do when it comes to the Administration of Justice? What kind of justice does the Administration provide when they have to deal with issues that arise within the Community? How far does the system accommodate notions of fairness, transparency, objectivity and accountability within its power structures so as to ensure justice for its common members? Do common Ahmadis gain justice when they approach the Khulafa with the troubles they have with their leaders? In an Open Letter written on February 20, 2011 and addressed to the current head of the Ahmadiyya Muslim Community, Mirza Masroor Ahmad Sahib, the Khalifatullah Hadhrat Munir Ahmad Azim Sahib of Mauritius profoundly analyzed this question. The Messenger of Allah of our times- the Khalifatullah- describes justice as from the very “blood” of Allah. He points out that Allah detests unfairness among his creatures-be it in the Heavens or in the Earth. Pointing to the how and why of the decline in justice-oriented administrative values in the Ahmadiyya Community today, the Khalifatullah provides a profound explanation for the magnificent Will of Allah working behind the current Divine Manifestation.